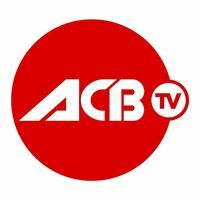 Entertainment TV channel / ACB TV is an international, 24-hour entertainment channel that offers viewers quality music and sports programs. ACB TV reflects in its conception the idea of ​​unity, mutual respect between representatives of different nationalities, integrating ethnic and popular music of the Caucasian peoples in the program grid. For those who want to keep abreast of the latest developments in the world of MMA, kickboxing and ju-jitsu - live broadcasts of the largest ACB league tournaments, sports programs and films. The channel started broadcasting under the name "9 Wave" in the package of the satellite operator "Tricolor TV" in 2010, and entered itself into the history of the mass media as the first ethnomusic channel of Russia. Initially, the channel was conceived as a small project intended for broadcasting in nine (hence the name) cities of the North Caucasus. For 7 years of work, the TV channel has changed its status from regional to international, having won its niche in the television arena. In May 2017, the channel went to the management of the promotion company Absolute Championship Berkut (ACB).